This one should have a /use: "summons a rabbit from nowhere". More hats for my bank character. Hope it's a top hat, that'd go perfect with my Tux. You know how sometimes you're hangin' out with a dude you don't know that well and it's awkward? That is the Awkward Zone, and the only way to banish it is to put on fancy clothes and drink beer. This hat will help towards your victory over the Zone. Now we just need ties that do things as neck items! At long last... we can get a TOP HAT! (Bad Worgen Cockney English Accent) "Well Well Well, Whats all this then!" Spirit of Azuregos: I SAID GOOD DAY! 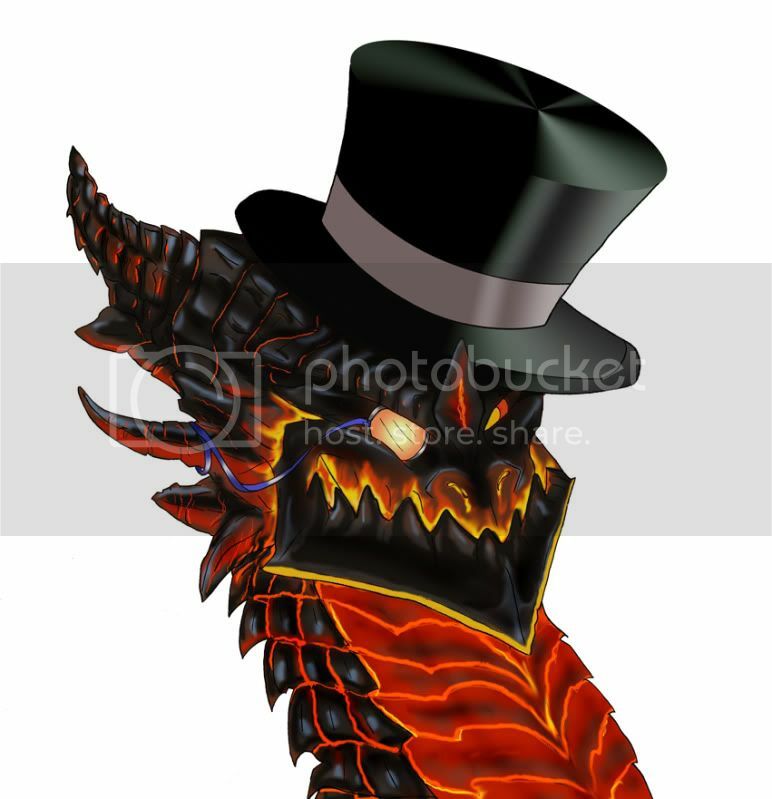 Blizzard MUST implement a way to use High Society Top Hat and Noble's Monocle at the same time. ^----- (cries) Waaaa! My link won't show. The above is a set only fit for a gentleman. Pip Pip. It's not hard to let it go from a mess to the masses! I agree, there should be a cosmetic "face" slot similar to the shirt slot for things such as the Forever-Lovely Rose and the Noble's Monocle. I got 99 problems but a @#$%^ aint one. thanks for making my day sir. AND YOU GET...NOTHING. YOU LOSE. A true Gentle Manne of Leisure should have more than one hat, obviously! Pile of hats please Blizz? Thanks everyone for the funny remarks, some of them were very nice indeed. Where does the pattern drop (and what is the droprate)? This could arguably be put in the comments of the item itself ofc as well. Wait, what? It's BoE even though it's a white item? For best effect, be Deathwing. SMELLY UNFORTUNATE: Please, sir... may I have a hat? GENTLE MANNE of LEISURE: A-ha-ha! You are as PRESUMPTUOUS as you are POOR and IRISH. Tarnish notte the majesty of my TOWER of HATS. His COMPANIONE: I have many hats also but did not bring them. This is going to be one sweet holiday season, and a top hat will only improve it. Deahhh boy! What dai ehs it? Whoy! It's Kwifmass Dai, sehr! And they're wolves, so there's that. Note that the hat is BoE. Because high society people don't buy used clothes - they get them straight from their personal tailor. Now all we need are Cooks to make and have a chair item so that we may sit in polite company and enjoy our civilized tea while discussing current affairs of great importance. Why does this hat have no stats? Especially since the recipe is earned at such a high level. Looks just like Slash's top hat. now see here you are making very angry. i warn you, i have a dapper hat, a cane, a finely made suit, and i happen to be a worgen and i am not afrain to use these items to teach you a lesson...british style. Well it isnt just a top hat. 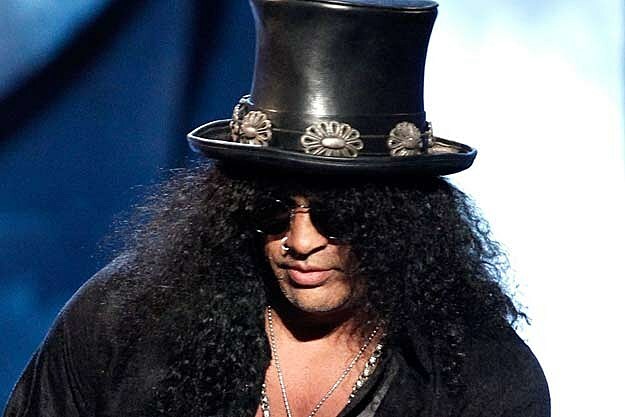 Its Slash'es tophat epicly epic referece to me. EDIT : Perhaps the people downrating it should consider the fact that what I wrote it true? Has anyone seen one of these in the AH yet? EDIT:WTF? So legitimate questions get downrated, but lame "Gentlemen" and Mr. Mackey jokes get uprated through the roof? Need more top hats. If that SW banker can have a hat and a monocle. Why can't we? ...why is his monocle in his nostril? I think it would look like this hat. Real men (or demons), like Chancellor Cole, wears two at a time. It would make any Ettin look twice as sofisticated. This Top Hat isn't quite complete for female characters, in my opinion. It should look on them like it does for Gwen Armstead. Plus the hint is in the name High Society Top Hat. Sadly, yours is not as shiny as mine. But, if you gather the required materials, you could have a gold* studded hat. Look down, now back up. Where are you? You are in a raiding guild, covered in phat lewtz, with your fancy hat on your head and your favorite equipment in your bag. That equipment is now diamonds. HALLO, MAH NAME IS BARN DOOR! BETCHA CANNAE HIT MEEE! GM says it's not implemented in game yet, unfortunately. I sure hope this is in 4.3 as a great way to wrap up the expansion. This is the true hat of TotalBiscuit. Now gais, and gals, imagine....An army of Panda's wearing tophats! DOOM IS UPON US! Want to see how this hat looks on your toon, in-game? Go to the top of this page and click the red LINK button. Copy the text in the pop-up box that appears, and paste it into your chat window in game. The item link will appear in your chat window. Control-click it, and you will see yourself in the hat. Use the drag button at the top of the window to drag your toon down for a better look, then use the controls or your mouse wheel to zoom in. GM confirmed this is not in game yet. I noticed some mixed answers and people unsure in some places. GM confirmed the pattern and the item are available in-game, as seen below in my ticket. I bought three of these hats from a player on Argent Dawn (EU). For privacy and sanity's sake, I will not reveal their identity. However, this individual had migrated to another realm specifically to purchase an untold amount of these hats. Once he/she returned, they were put onto the auction house and bought out almost immediately. The going price on that realm in particular had been 50k (50,000g). However, the price eventually dropped to a reasonable sum of 15k (15,000g) - and that is when I purchased my lot. If only we could acquire Gilnean clothing, as seen on Lord Godfrey. It seems we will have to wait until the Embroidered Shirt is made available to players by Blizzard. What a shame! All in all, a lovely hat. Well worth what I paid for it! A must have for this season's fashion. Only the fanciest men of the gentle persuasion will be seen in possession of this exquisite ensemble. But until then, may the rest of you have champagne wishes and caviar dreams. I just got one of these off my blingtron 4000. 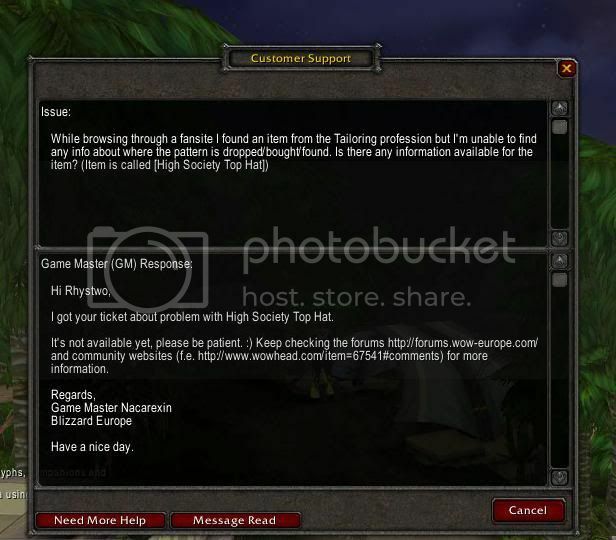 Oddly, received one of these hats today (along with a few Party G.R.E.N.A.D.E.s) in my Blingtron 4000 Gift Package. Can I has a dollar? Come on maaan.. u got a benz, I got a busket, gimme a dollar! I just got this from a Blingtron 4000 Gift Package. It cannot be used for transmog. This item can now be found inside of Blingtron 4000's Blingtron 4000 Gift Package. Finally, a way to obtain this item...although the chance appears to be low. Check your auction house as most people are selling them. I received this item from Blingtron 4000. This sort of collaborative story-telling game is great to get kids using and stretching their imaginations. And it’s a great way for families to spend some fun game time together! And then... He wanted to BUMP my fist! I don't want to bump your dirty fist! This needs to be cosmetic or something, 'cause I'd love to wear it during fights instead of just banking moments or Role Playing. Well what a pleasant surprise! I just got a High Society Top Hat from a Blingtron 4000 Gift Package! I was lucky enough to get it in a Blingtron 4000 Gift Package :D And I think blizz should add a service that lets a player pay a price, 1000-10000g so that they can turn an item into a transmogrifiable item. I could have sworn this did not used to be not bind on equip. Anyone else remember this or am I thinking of some other vanity item? Just got one off a Blingtron 4000. Where have I seen that black hat banded with gold circles before.... oh right. 80's metal. A must-have for Worgen death knights, since DKs don't get Lord Walden's top hat during their starter quests. From pictures of the new "Wardrobe" system, it looks as if there will be implimented more top hats! I am most excited about the female top hats, I've always wanted one to go with my Gentelman's attire on my female warlock. Will we be able to transmog items like these in Legion? One of the most expensive hats on my server, it's an RP server and this is very popular for people willing to invest a lot into RP gear! Sadly still not transmogable with the new system from legion pre-patch. Blizz should turn this into a cosmetic transmog item. Extremely valuable item. I got one back in MoP from the Blingtron and forgot that I had it. Was pleasantly surprised to find it in one of my alts bags. The drop chance both for the recipe from the rares in uldum and the actual item from blingtron is incredibly rare. I wanted to quickly update. I did check everyone possible to find the information i need to farm the pattern. I'm after many rare patterns, and i do farm them right now in BFA. If you have questions i'm ready to answer them.